Smoked craft beer is a low-fermentation German beer: the smoking occurs during the drying of malt. 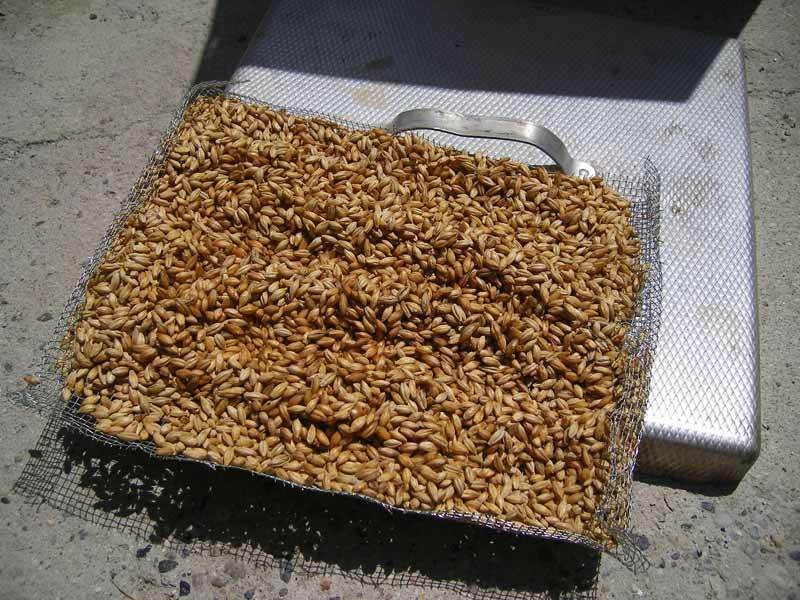 When the drying process occurs on high flames, it favours the transfer of a strong smoking taste to the malts. To obtain a smoked craft beer, thus, it is necessary to carry out the phases of drying of the malt not only with emissions of hot air, but also with high flames placing the grains on wooden ember, better if of beech wood, oak, walnut, keeping them humid. In this way the smoke derived from the combustion of the woods give to the malt that characteristic taste. In this craft way you can obtain a good smoked beer. Based on the type Maerzen/Oktoberfest, this beer was born in Bamberg, in Franconia where today there are two of the most famous breweries for the production of this special product: Schlenkerla and Spezial, historical places. In German, smoked beer is called Rauchbier. English are big consumers of smoked craft beer as well, and they call it Smoked Ale; whereas the popular Adelscott is instead the French smoked beer, produced with malt dried on peat wood. This style of beer based on the drying of the malt on live flame, has lots of lovers also in Italy and on the market we can find: XFumè by Baladin, Fumè du Sanglier produced by Toccalmatto, Wedding Rauch, strong suit of Brirrificio del Ducato, the Smoked by Birrificio di Livigno, the Prèda of StataleNove, Filo di Fumo of Pasturana, the Duman of Birrificio degli Archi and the Imperial Ghisa of Lambrate, or the Affumiada of Lara and La Nera of Squaraunda. It is a beer with a variable colour that goes from amber to copper and warm brown, clear with a rich foam. It has the characteristics of a lager and it lacks of any fruity taste. It has a sweetish taste, well balanced thanks to the malt and the bitter of the hop. Its end is delicate and lasting. The sensation is a beer with a medium structure. The smoked aroma is variable, from weak to strong. The bitter of the hop is low and the taste of hop almost absent. The wood used to stoke up the fire that make the smoking possible are really important, so that the aroma of beer. The beech wood aged for three years is perfect. American walnut wood gives to the beer a taste of bacon or pork rib. Do not use, instead, the wood of evergreen trees that can give to the beer an aftertaste of medicine or resin. For sure, smoked beer is suggested to pair some specific dishes in particular. 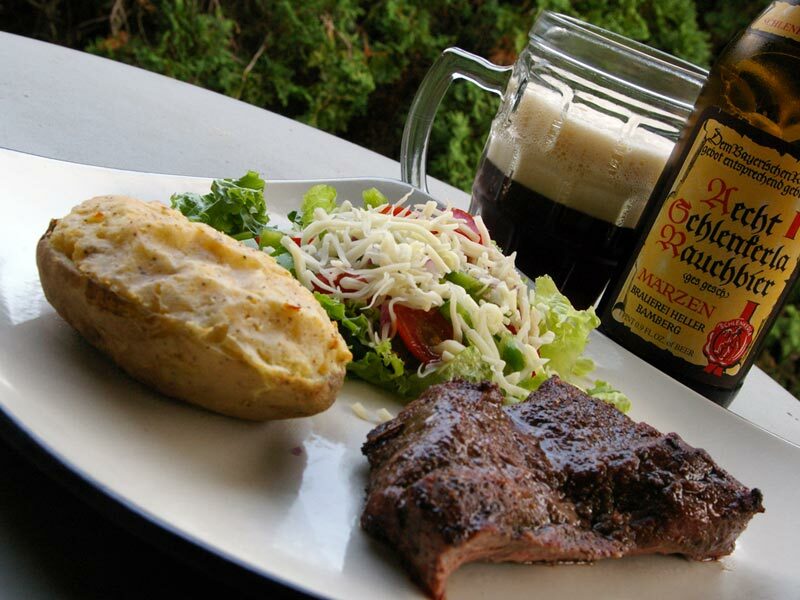 Thanks to its taste it is perfect paired with grilled food and it can be itself a fundamental ingredient for some recipes as the beef stew with smoked beer.